Only one of the best vitamins your body can intake! There are so many amazing benefits of Vitamin B…. I don't even know where to begin! According to the Google dictionary, Vitamin B is any of a group of substances (the vitamin B complex) that are essential for the working of certain enzymes in the body, and although not chemically related, are generally found together in the same foods. They include thiamine (vitamin B1), riboflavin (vitamin B2), pyridoxine (vitamin B6), and cyanocobalamin (vitamin B12). Okay, Callie. That was gibberish. Can you rephrase that? To sum it up, Vitamin B overall is a vitamin that gives the body energy. There are many different kinds of Vitamin B that benefit the body (which I will break down the four that I think are most important below), and a mixture of them all is called vitamin B complex. Thiamine (Vitamin B1): B1 is the vitamin that helps regulate cell function and organ function. The target areas that need the most B1 are the nervous system and circulatory system. B1 is also known to aid your appetite! Riboflavin (Vitamin B2): B2 is the B vitamin that aids in energy metabolism and cellular processes. A lack of B2 can lead to chapped/cracked lips, sore throats, mouth inflammation, mouth ulcers, and even anemia from the decrease in iron. Pyridoxine (Vitamin B6): This vitamin helps the maintenance of red blood cell metabolism, the immune system, the nervous system, and other bodily functions. It is known to boost your mood! Cyanocobalamin (Vitamin B12): B12 is the largest and most complex vitamin known to us. It can be taken in high dosages because the body stores the excess of it our liver for up to a year! 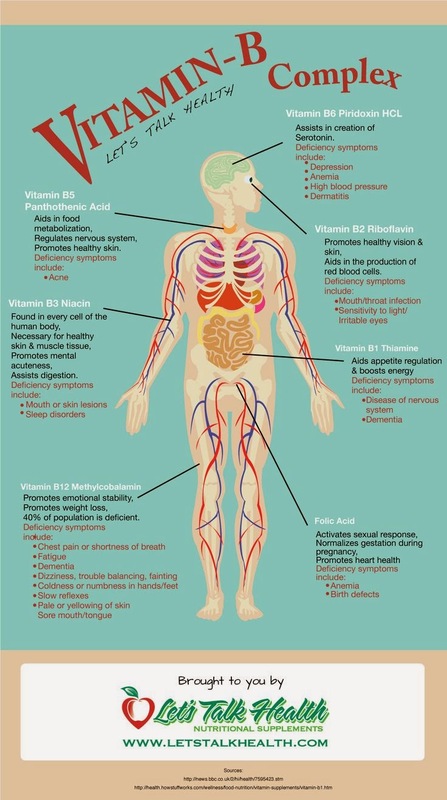 We need B12 for our blood (it keeps up from being anemic) and for energy so we aren't fatigued. Random fact about B12: It can help decrease hangovers, so if you plan on having too much fun, take some B12 before or during the time that you drink. Overall, Vitamin B is amazing for your body. It is known to be a great substance to calm depression. It is a natural remedy to help your mood. If you take B complex vitamins daily, your chances of depression will be lower than others. Oh! You can also take them as supplements (pills, chewables, gummies)… I actually carry them around in my purse. I also wanted to share with y'all this B-eautiful top from tiffsboutique.net. Her clothes are so cute and inexpensive! I just received this top in the mail and I've already worn it twice! 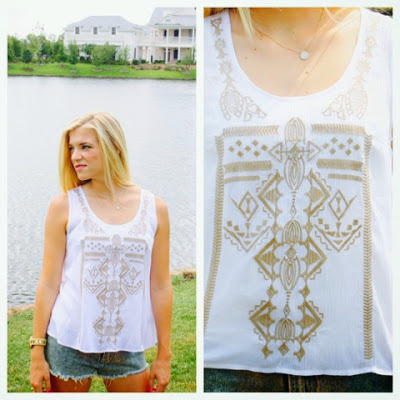 Keep up with what she has on Instagram: @tiffs.boutique! As always, I hope you find this information helpful! If you have any questions or comments, please feel free to leave a comment below or email me! Have a wonderful day! I want to dedicate this post to our family's first and forever puppy love, Emma Rae. She is now in a better, peaceful place. She definitely gave us love and joy throughout her long life. We love you and miss you, Emma! Oh Callie. Emma is so proud of you and so am I! Keep them coming. I love you!